Before the 2019 General Assembly session began, I reminded legislators that we would find what we were looking for — that if we looked for areas where we could agree, we’d find them. We come to Richmond united by a common purpose: to build a commonwealth that works better for every Virginian, where every child has the opportunity for a good life. By any measure, our administration, working with the legislature, has been successful in finding the common ground necessary to make life better for those we serve. This session, we have finally found the solutions to thorny issues which evaded us in previous years. For decades, we have agreed on the need to identify a funding mechanism for improvements to Interstate 81, making it safer and more reliable for all who travel on it. Now, we finally have reached a compromise to create a dedicated funding source for I-81, and provide much-needed transportation revenue for other parts of the state as well. This will ensure that I-81 is a better, safer connection through the Shenandoah Valley and Southwest Virginia, improving travel and commerce. This is an historic accomplishment, and I thank the General Assembly for working with my administration to make this happen. We have also taken a huge step to eliminate the criminalization of poverty by ending the practice of suspending driver’s licenses of people for not paying court costs and fees. Often people don’t pay those fees because they can’t afford to, which forces them to decide between obeying the law and risk losing a job, or driving on a suspended license. While this proposal initially failed, I’m proud that our effort to revive it was successful—and more than 600,000 Virginians will no longer be consumed by this counterproductive cycle. This year we also have finally found agreement on how to pay for a new Central State Hospital. As a state mental health hospital where we treat the most vulnerable of Virginians, it must be a modern and safe facility, and building a new hospital will ensure that it meets those standards. Also in the final budget is $7 million for the Housing Trust Fund, and money for legal aid attorneys to help people at risk of eviction, so that vulnerable populations and hardworking Virginians aren’t priced out of a safe place to live. As we prepared our budget amendments last fall, we prioritized increased funding for teachers and schools, because every child deserves to get a good start in life. While the General Assembly did not approve the full investments that my administration proposed, they did agree to fund the largest single-year teacher pay raise in 15 years. Schools across the commonwealth and our most vulnerable students will see a boost in funding, and we’ll begin increasing the number of school counselors who provide critical support in our learning environments. I was also glad that this session brought a resolution to the environmental challenge of what to do with the 27 million cubic yards of toxic coal ash lying in unlined ponds near our waterways. Our administration and legislators reached a bipartisan agreement to remove that coal ash before it creates an environmental catastrophe. The overarching priority of my governorship has been ensuring opportunity for every Virginian. It’s clear to me that priority needs to be further refined. I have made a commitment to improve the equity of our systems and policies. I’m under no illusions this work will happen overnight, or even be completed by the end of my term, but we must start it. I’m committed to making that start, to using the power of this office to push these issues forward. I have been committed to making sure Virginia is a place of opportunity. I am equally committed to ensuring that that means we work to recognize and remove roadblocks to opportunity. We have the chance to make sure we are providing the best education to every child in the state, and that we provide additional support where needed. That includes ensuring our curriculum standards are up to date. We have the chance to improve our health outcomes, so that a woman’s race or zip code doesn’t determine whether she’s at increased risk of dying during childbirth. We have the chance to make sure that women- and minority-owned businesses have the same opportunity to compete for and receive state contracts as other businesses do. It’s clear that when people look for common ground on ways to make Virginians’ lives better, they find it. I thank the General Assembly for working together with my administration this session to find solutions to issues that have been problems for many years. I’m proud of the historic steps we have taken this session to make Virginia a better and more equitable place. I look forward, and am committed, to doing even more. 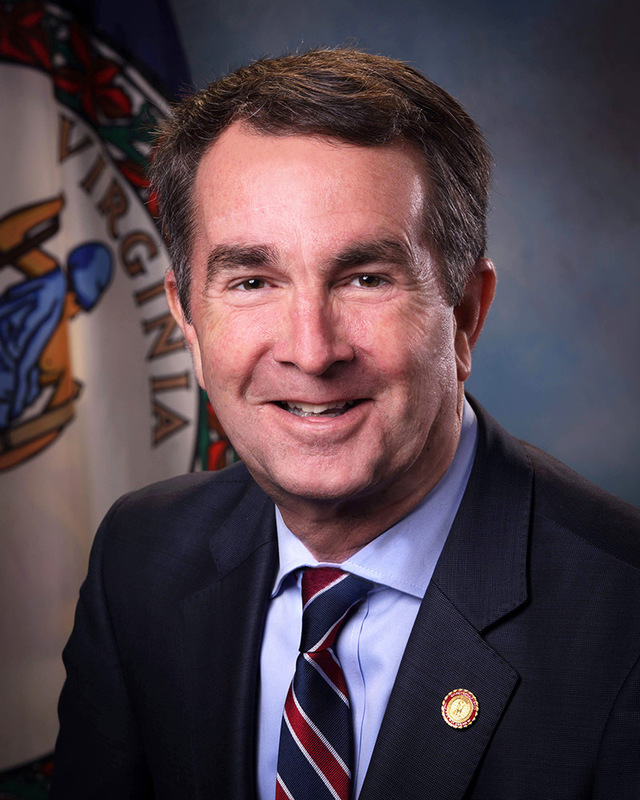 Ralph Northam is governor of Virginia. Contact him at (804) 786-2211. Tags: #Northam, editorial, General Assemply, legislation, opinion, session, Virginia. Bookmark the permalink.